After months of rumor and speculation, Apple on Tuesday debuted its next-generation iPhone, and the device is largely as expected. The successor to the iPhone 5, the iPhone 5s is typical of Apple’s alternate-year handsets, visually similar to the iPhone that preceded it but with a number of incremental improvements and a few big tentpole features. 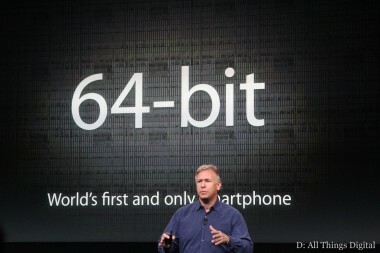 One in particular — a 64-bit A7 processor. “This is the most forward-thinking phone we’ve ever created,” Apple VP Phil Schiller said while introducing the device at a special event at the company’s Cupertino headquarters. And, indeed, the 5s appears to be just that. According to Schiller, A7 is the first 64-bit chip designed for a phone, and it packs quite a punch — a billion transistors into a 102-millimeter piece of silicon. It’s twice as fast as its predecessor, and 40 times as fast as the first iPhone. 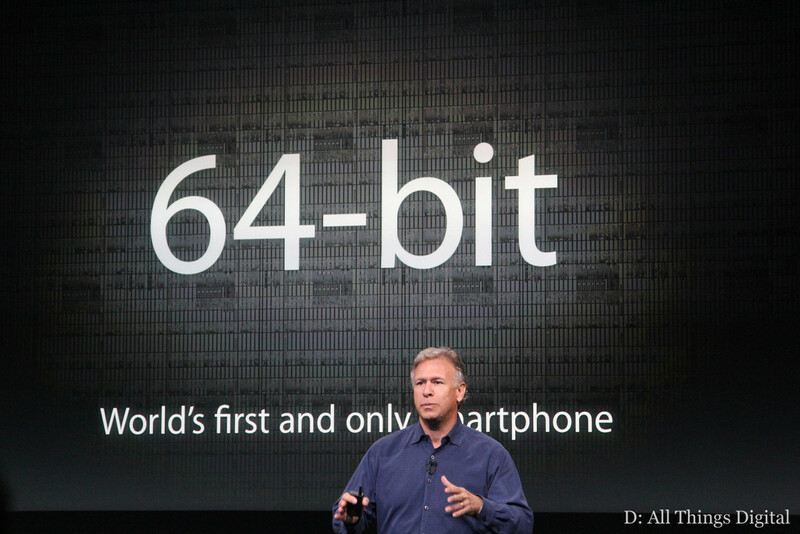 It’s capable of running both 32-bit and 64-bit apps. Battery life? Ten hours of 3G talk time. Also on board, a significantly improved camera system with a new five-element lens, a F/2.2 aperture, and a sensor with a 15 percent larger surface area. 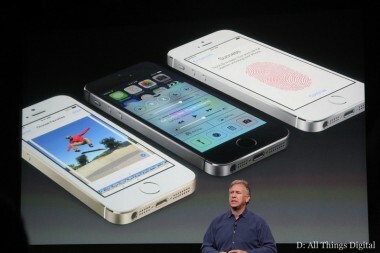 It has been enhanced with larger pixels, which Apple claims produce better photographs, and a new flash. Called True Flash, it features two LEDs — a bright one and a warmer one — backed up by software that helps the device adjust them according to lighting conditions. Further rounding out the camera system: Improved image stabilization, real-time “pick the best” photo sorting, and a new slow-motion function. 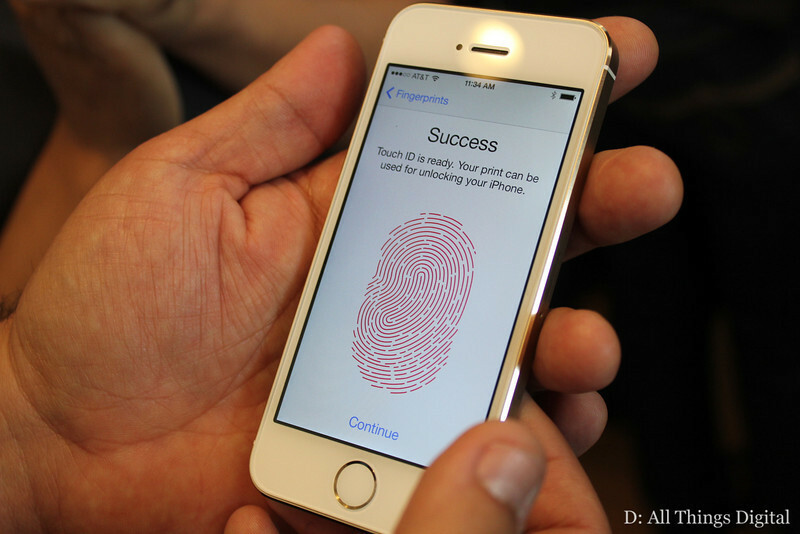 The iPhone 5s’s second tentpole feature is Touch ID — that long-rumored fingerprint sensor we’ve been hearing so much about the past few months. Housed in a touch-capacitive sensor included in the device’s home button, Touch ID scans the human fingerprint, which it uses not only as a device password, but to authenticate iTunes purchases, as well. All fingerprint information is encrypted and stored securely inside the A7 chip on the iPhone 5s. In other words, it’s not stored at Apple or backed up to iCloud. Apple is offering the new iPhone 5s in three colors — silver, space grey and, yes, gold — in its standard configurations: 16 gigabytes for $199, 32GB for $299, and 64GB for $399. It will begin selling the iPhone 5s on Sept. 20, a week after it begins preorders for the iPhone 5c.